Established in 2008 in South Sudan, Loreto Rumbek Primary and Secondary School educates girls from ages 5 to 20. 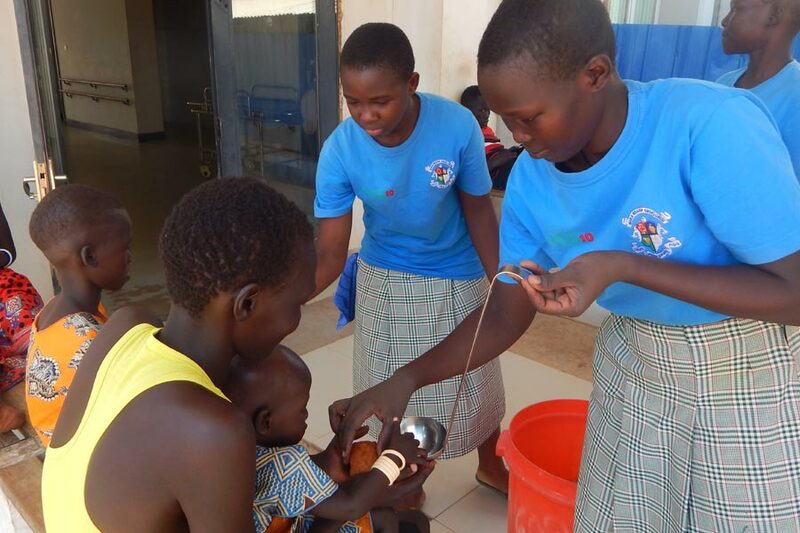 On 9th March 2019, 24 students from the Loreto Peace Club visited the Kiir Mayardit Women’s Hospital in Rumbek town, accompanied by two teachers and a graduate intern. This was done as one of their outreach initiatives supported by the Mennonite Central Committee (MCC). In late 2018, the club members visited the Rumbek State Hospital (CCM) and realized that there was a need to visit and encourage the patients in the hospitals in Rumbek. These visits are an important part of peacebuilding as they offer comfort and care to those who are suffering, helping all involved to grow in compassion. 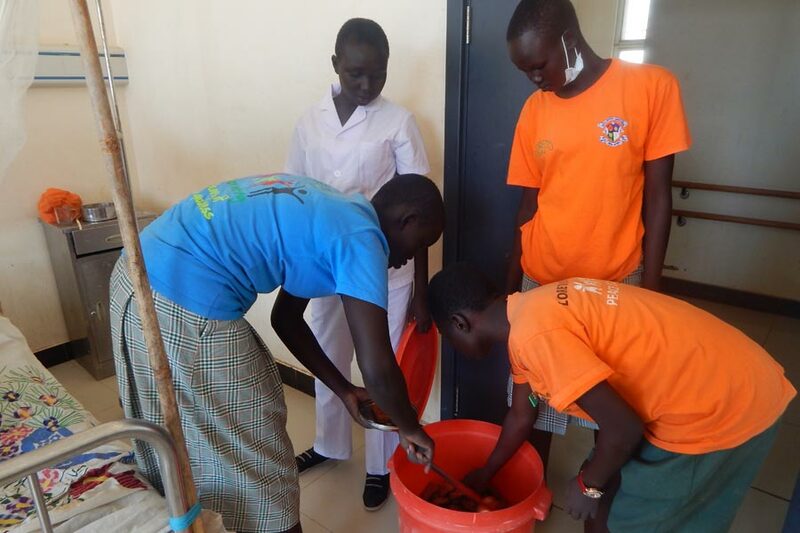 During their visit, the students cleaned and dusted patient wards, swept the compound and incinerated trash. As they toiled, the girls discovered that good works encourage others to work harder in performing their duties. According to Along Paul, the club’s chairperson, “The cleaning exercise made the women happy although there were some who looked traumatized and needed attention, few of us spend some minutes talking to them after we were done with the cleaning. The hospital was in bad shape in terms of hygiene, especially the wards and the washrooms. Most patients were nursing mothers, infants or young children. They need to live in a clean environment because hygiene is vital to health and development. After the cleaning exercise, the students spent time with the patients and served some refreshments. The patients could not hide the joy on their faces. One patient, Alek Dilech said, “I was in when the girls came and they said that we should move our things as they were coming to clean. I was surprised to see young girls and more so students doing the cleaning here. One of them told me that they came to clean here so that we do not feel lonely and stressed and indeed that made me feel happy that they are caring. The hospital looks clean today. Marial Longjok, the hospital’s clerk and nurse was also impressed by the girls’ heart for service, citing that this move was a good example to set for other youth in the community. “For the past years that I have been working here, I’ve not seen people volunteer to clean. I heard from the State Hospital that the Loreto peace club members cleaned there and I have been hoping that they will come here one day. I hope they’ll make other trips again here because they enlightened the patients. The Loreto girls have a culture of serving and this brightened the patients’ faces. Through service, these girls hope to build a more peaceful nation.